Chances are that if you have an elementary school-aged child in your house, flossing has been a big topic of conversation at some point. Unfortunately, they’re most likely referring to the dance made famous by an online video game than to their oral hygiene needs. As the dentist Port Lavaca parents trust for their family’s oral hygiene needs and preventative dentistry, let’s take a look at how we can work together to encourage flossing as part of an everyday oral routine. If you’re coordinated enough, why not floss while flossing? Kids have trouble sitting still as it is. Turn on some tunes and let them boogie while they floss their teeth. As long as every tooth gets flossed once every day; a little music is fine. Encourage brushing and flossing as a fun part of everyone’s oral hygiene needs rather than labeling it as a chore. Oral hygiene tasks like brushing and flossing play an important role in our health. A healthy mouth is the result of brushing twice each day for at least two minutes every time. 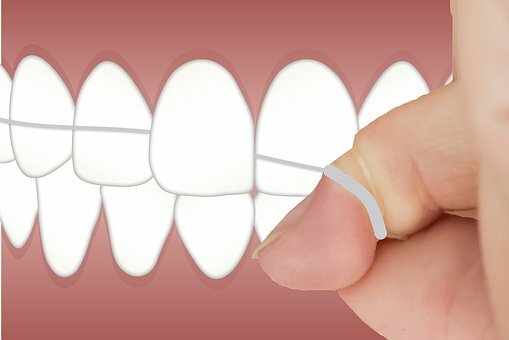 Flossing is also a requirement for a healthy smile. Flossing eliminates bad breath and prevents gum disease. These good habits along with a visit twice a year to our Port Lavaca dentist office will keep your smiles healthy for years and years. Do you know how to floss? If you are using traditional floss, simply guide the floss gently between each tooth as well as past the last back molars. A gentle up and down motion so the floss slides between the gum and tooth helps remove bacteria and particles from the area. If left on the teeth or gum line, these can create tooth decay and gum disease. Use the same gentle motion if you are using hand flossers. Work as a family to find what method of flossing works best for you so that you won’t have anyone avoiding their oral hygiene needs. Flossing as a dance is great fun. Flossing as a hygiene routine brings on great smiles. Combine the two and you’ll have a reason to show off an amazing healthy smile. Talk with our Port Lavaca dentist office if you have questions or problems with flossing or visit our Facebook page for more oral health topics.